If research has taught us anything over the years, it is regarding the importance of approaching beauty from an integrated perspective. Keeping skin in optimal condition with natural based products such as argan oil is one way to battle loss of moisture, but alongside our skincare routine, we should start from within. Many practices exist to help us keep wrinkles and loss of firmness at bay – everything from facial exercises to yoga for stress and other issues that can cause our skin to age prematurely. Of all these natural practices, one of the most important is lymphatic drainage. Lymphatic drainage is a simple yet very useful therapy one can apply at home, with pretty amazing results! The lymphatic system is effectively the body’s waste disposal system, but it also is a vital route for the absorption of vital nutrients and a carrier of disease-fighting immune cells. The lymphatic system is a complex network of channels which flow throughout the entirety of the body. Toxins are carried from these tiny channels into lymphatic vessels and eventually to the lymph nodes, where they are purified. This detoxified liquid then returns thru the body to continue carrying out its important work. What Happens When the Lymphatic System Functions Poorly? Beauty guru, Leslie Kenton, points out that unlike blood, which moves through the body thanks to the contraction of the heart, lymph has only one way to circulate: the natural pressure applied by our muscles when we move. In order for the lymphatic system to work properly, we need to exercise regularly, to enable our muscles (and the power of gravity) to help lymph effectively eliminate toxins from cells and tissues. Unfortunately, human beings have become far more sedentary over the years, and the result is a build-up of toxins that shows up in our skin through wrinkles, cellulite and water retention. More importantly, the sedentary lifestyle has significant, negative consequences for our health. Poor diets are also to blame, as our addictions to alcohol and substances. For beautiful, radiant skin, one of the most vital steps to take is to lower the toxic burden on your lymph system by quitting any harmful addictions, avoiding alcohol and never taking up the habit of smoking. Here are several ways we can optimize lymphatic function. If your goal is smooth, soft skin - then you should exfoliate regularly while you're in the shower. Add a natural fiber brush, to get the lymphatic benefits. Use circular motions to brush the skin. Start in the feet and work your way upwards to your calves, thighs, stomach, back and neck. Try to set aside at least 15 minutes for your brushing routine and work your way up to around 25 minutes. A great way to drain your lymph system is by jumping! You can do this with a trampoline or rebounder, which is a small trampoline. Jumping allows you to defy gravity and helps the lymph move through your body. This is one of the gentlest, soothing massages there is. 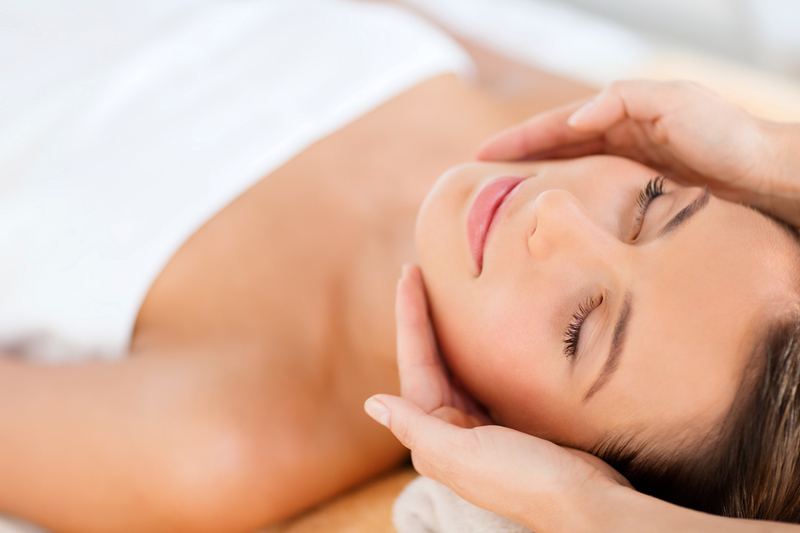 Your massage therapist will apply slight pressure in specific points in your body. Bring a pillow as the gentle touch will surely put you to sleep! It is important to detoxify the body naturally through occasional fasting. On a daily basis, we should also be careful to feed our bodies with organic fruits and vegetables, which are free of pesticides and heavy metals that can wear our lymphatic system out. Specific foods should be avoided: these include high-sugar foods, store bought fruit juices and sodas and other beverages containing inordinate amounts of sugar. We should aim to feed ourselves (and our families) less processed, packaged items and eat raw, fresh produce whenever possible. Fruits and vegetables should be consumed whole when possible, to avail of the healthy fiber they contain. Finally, drink plenty of water in place of flavored beverages and alcohol. Set aside at least 30 minutes a day for exercise. Not only will you be doing your lymphatic system a favor, but also doing something great for your cardiovascular and muscular systems. Try to balance cardiovascular workouts with strength exercises, and out exercises like yoga, Tai Chi or other holistic activities. They're all proven by research to be very effective stress busters. Nutrition and good diet can provide good skin.